Nancy Alvarez has served at Bethel Church for the past several years and has a passion to awaken a generation to the purpose and plan that God has created for them. Nancy has a desire to see youth empowered to change their city, schools and the nations. Her heart for the Kuna people in the villages of Panama fuels her calling to take the gospel to the ends of the earth. She took step of faith and baptized in October 14, 2012. She believes in the great impact, purpose this generation has and can be to this world through the Love, hope and salvation found in Jesus Christ. 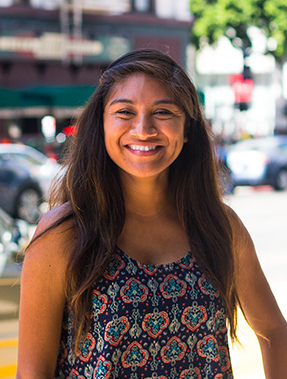 She is currently attending Iglesia Bethel Evangelista in National City, she has been mentored by Pastor Carlos Nicasio and his wife Margarita Nicasio. God blessed her with the opportunity to go twice to Panama in the summer of 2014 and 2015 as a missionary and is willing to go wherever God sends her. Nancy has the passion to serve and lead this generation to the feet of Jesus Christ.